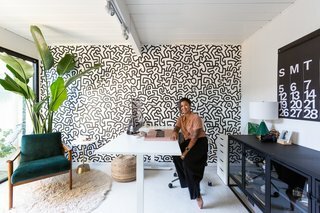 From 1949 to 1966, prolific real estate developer Joseph Eichler collaborated with renowned architects to build some 11,000 of his trademark tract houses across the San Francisco Bay Area and beyond. These midcentury-modern residences, inspired in part by the Frank Lloyd Wright house Eichler grew up in, were affordable and coveted by the booming post–World War II middle class. Featuring such signature characteristics as post-and-beam construction, Eichler houses were graced by an abundance of exposed wood, as well as open spaces that emphasized a connection to the outdoors. 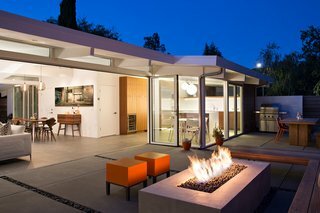 Streamlined, well-preserved Eichlers are still beloved by the design community and history-appreciative homeowners—and some push boundaries, balancing original elements with imaginative, expansive, revamped layouts. 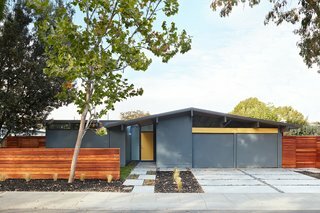 Here, we've gathered a selection of spruced-up Eichler homes from the Dwell.com archives. 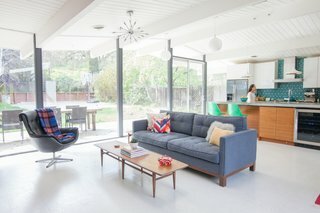 These renovations reflect a contemporary, active lifestyle, while staying true to Eichler’s original vision. Let us know in the comments which of these projects compels you most. 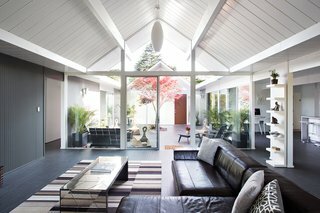 For Urbanism Design's first project, interior designer Pamela Lin-Tam made the atrium the centerpiece of this Eichler. Here, the living area enticingly faces the swimming pool. Built in the early 1970s, the house's kitchen, living, and dining areas were originally divided into three distinct zones. In order for this great room to flow as one, Klopf Architecture removed the glass doors and solid walls separating the enclosed atrium from the kitchen and living room. A Herman Miller trade poster, Design Within Reach book tower, and IKEA sofa mingle in the space. 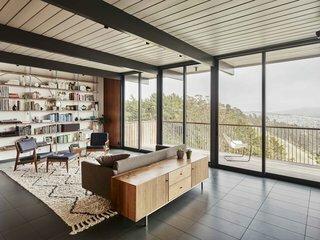 San Francisco–based Michael Hennessey Architecture paid homage to Eichler's affinity for open spaces by reconfiguring the living area on the upper floor and moving the kitchen to organically connect the rooms. 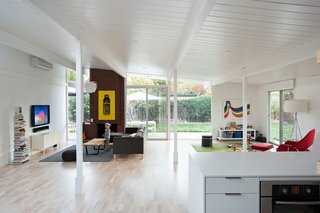 In the South Bay, San Jose–based BLAINE Architects expanded this Eichler by transforming the old carport into an atrium. A folding glass NanaWall system allows the owners to watch their kids in the playroom from the kitchen. 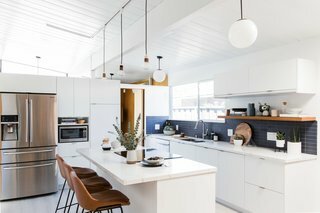 The once dim, cramped kitchen in this 1963 Eichler now features luxe vinyl tiling, white slab fronts from Semihandmade, and a dual-pane window, courtesy of Cathie Hong Interiors. 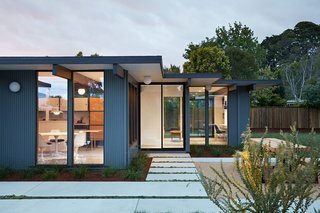 Klopf Architecture updated this Eichler with a radiant floor heating system, re-stained paneling, and a new office/guest room filled with Eichler hallmarks like dark bronze door handles. Klopf Architecture's modest 72-square-foot addition at the front of the home blends in with the original structure while giving the owners a greater sense of openness in the master and hall bathrooms. Inside, the re-imagined great room now features dining space. 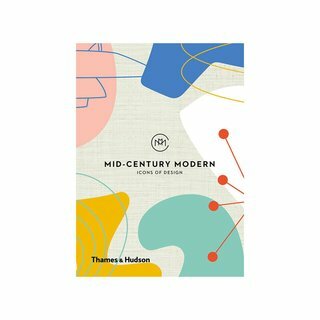 This gift book, featuring sophisticated illustrations of classic pieces, is a must- have for lovers of Mid-Century Modern design. 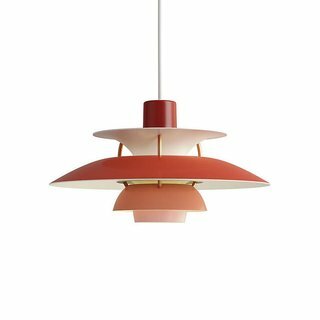 Mid-Century Modern remains one of the most popular, collectable, and dynamic styles of international design. 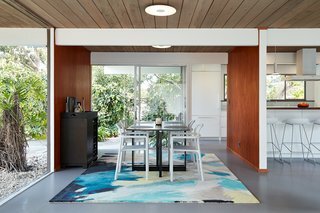 Some of this Eichler's original highlights remain, such as the tongue-and-groove redwood ceiling decking and the now re-stained luan wall paneling. In the kitchen, walnut is juxtaposed with crisp white, and the light blue found in the dining area is a unifying accent color. To blur the line between indoors and outdoors, San Francisco–based Klopf Architecture integrated glass doors that organically separate the living area from the patio. 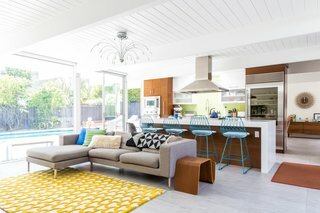 Originally designed by the architectural dream team of A. Quincy Jones and Frederick Emmons, this Eichler sports a new kitchen. One highlight is the island, which the design team crafted in the owners' own backyard. It's outfitted with bespoke walnut cabinetry by Semihandmade for IKEA. Photo by John Shum. 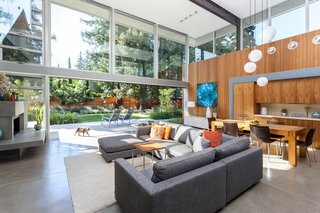 Oakland–based Building Lab effortlessly connected the patio to the living and bedroom areas just beyond the striking wall of windows. 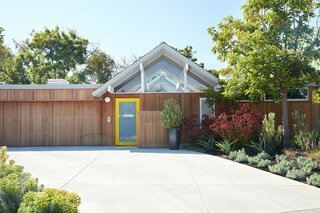 This circa-1958 Eichler in Silicon Valley makes a mesmerizing first impression with its combination of ipe wood and neon-yellow resin. A garden, courtesy of landscape designer Bernard Trainor, fosters the illusion of more space. 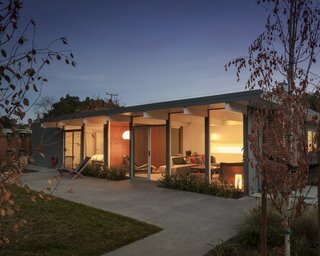 Klopf Architecture, Arterra Landscape Architects, and Flegels Construction joined forces to refurbish this Palo Alto Eichler. 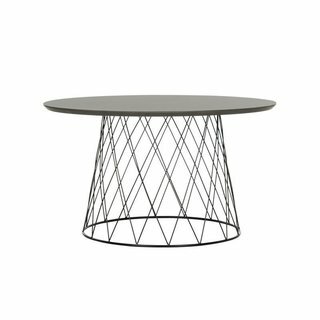 Standout features include a fully opening glass wall, an outdoor living area with a kitchen and fire pit, and furniture by Kayu and Primary Pouf. Living, dining, and kitchen spaces flow into one another in the soaring great room. Here, the Sacramento firm placed new, polished concrete slabs over the original ones to alleviate unsightly cracks. 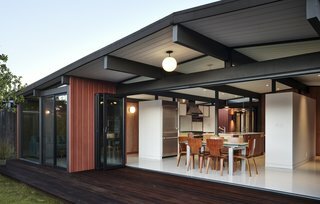 This Eichler is wrapped with vertical western red cedar. One of the reasons Klopf Architecture selected this material is because of its low-VOC stain. It matches the color of the original siding, which had sadly seen better days. 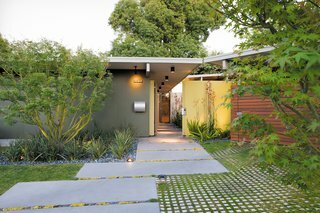 Related Reading: What Are Eichler Homes and Why Do People Love Them?